In any form and style of writing, the headline or title best describes what the article is all about. Imagine newspaper articles with no headlines? How will the readers be able to determine and identify what these articles are about? Not only that, newspaper and magazine articles without headlines can be confusing and annoying. You may also see essay writing examples & samples. In journalism, news headlines do not only capture the audiences’ attention but also give a complete overview of what the news article is all about. It is straightforward and accurate, and should be able to answer the who, what, where, when, why and how questions. By definition, a headline is a set of words set found at the head of a passage for introduction purposes. Specifically, it is found at the top of an article or page in a newspaper or magazine. You may also like article writing examples & samples. 1. Headlines are commonly used in news (i.e. newspapers or broadcast reports). It is straightforward and precise, and doesn’t leave room for more questions as it is a brief general statement given to a news article/report/story. 2. On the other hand, titles are mainly used in feature magazines. Titles for articles don’t necessarily need to give the entire information immediately similar to a headline. Feature stories and other creative writing pieces commonly use titles. 3. Titles in journalism, meanwhile, can mean differently. The title of a newspaper is the name of the newspaper publication. 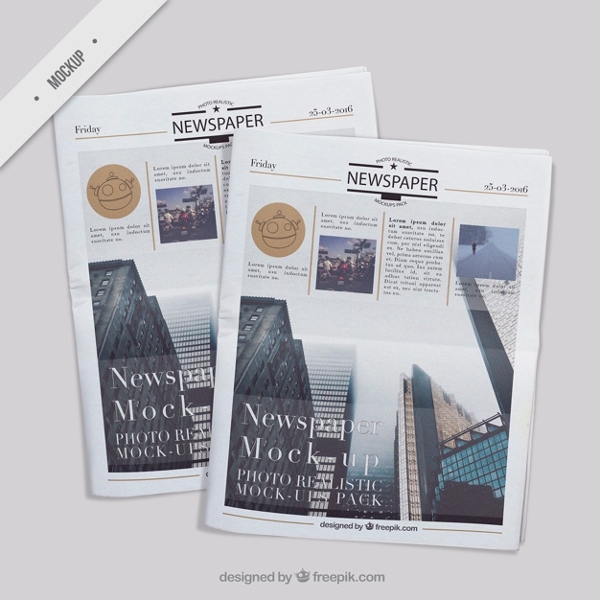 It is sometimes called as the “nameplate” of the newspaper. Although these are just subtle differences and there are actually no international rules governing the usage of the two. It is important to understand that there are in fact differences in the usage and meaning of both headlines and titles. However, they are both similar in a way that they are found above the articles or write ups. And they both tell something about what the write up is all about. You may also see application writing examples & samples. According to a study conducted by the Poynter Institute, headlines were determined to greatly help readers navigate through a page. 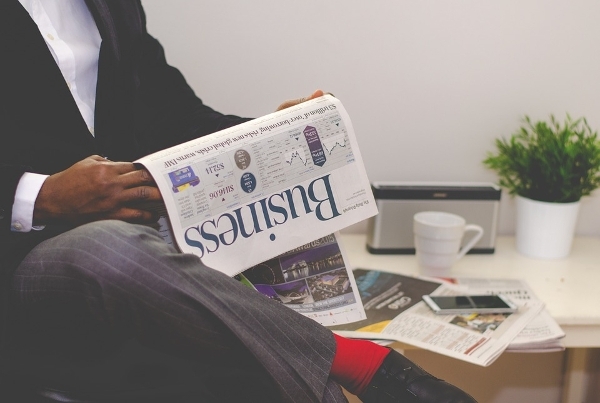 The study found that the readers only see 56% of the headlines but they are informed of only 25% of the content and they have only read a portion of that. With all these said, it is apparent that headlines help attract readers to look at and read the news/news stories. You may also see tips for writing an effective essay. Headlines that appear over news stories are designed to inform and not entertain. Basically, news headlines simply summarize the story as accurately as possible. 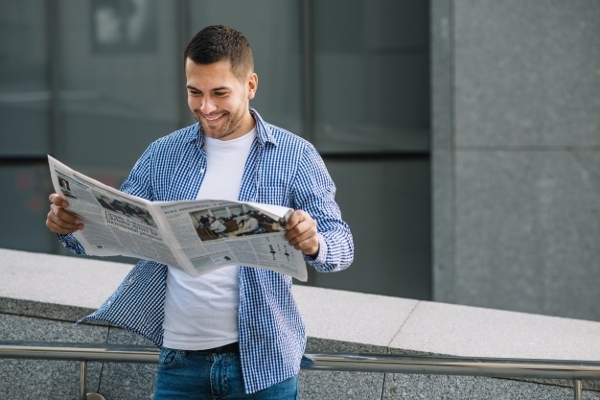 Although headlines seldom win prizes for originality or bring in compliments from the readers, they are the bread and butter of headline writers and they makes news stories easier to read. This also prompts readers to read more of the story if the headline is as accurate and straightforward. You may also like formal writing examples & samples. Headlines set the mood of the story. If a headline is straightforward, it indicates that the story is serious and intended to inform, not entertain. Headlines have a big role in helping determine the nature of the story. As much as it helps set the tone for news stories, it also helps set the tone of the newspaper publication. It is known that there are two types of newspapers– a broadsheet and a tabloid. Aside from the difference paper sizes, headlines in broadsheets are straightforward, direct, accurate and precise. However, in tabloids, headlines are more malicious and sensationalized. Through headlines, the tone in which the nature of the stories within the newspaper is determined. You may also check out abstract writing examples & samples. Aside from the other functions of a headline, it also provides typographic relief. A headline helps separate stories within the same page and relieves the “ennui” that commonly exists in newspapers. This is the most important thing to remember when writing a news headline. It must be accurate and must be based on the gathered facts about the story. Always stay true to the content and avoid sensationalizing just to encourage readers to read the story. You may also see report writing examples. By nature, headlines are meant to be short and concise. It can be 5-10 word at most. Generally, in newspapers, there are limitations to the space and letters are counted to make way for other stories to be inserted in the page. You may also like free writing examples. Speaking of space, it is a must to avoid leaving too much empty space. The headline must fully incorporate the place it is intended to fill in order to avoid white space especially in the front page of the paper. The headline and the lead/lede always focus on the the main point of the story. However, the headline must present an angle of the story that is different from that of the lead. Best to avoid redundancy and try using different wordings or sentence syntax in the headline or lead. You may also check out minutes writing examples & samples. The news headline should be as straightforward and direct as possible. It should be able to effectively communicate the point across. It is meant to inform and not to obscure. An active voice entails that the event recently happened. The headline should always follow the subject-verb-object formula. However, do not start with the verb and always start the headline with the subject. For example, “Man Runs Cross-country for Homeless.” You might be interested in writing examples in pdf. A bad break is when a headline with more than one line splits a prepositional phrase, an adjective and noun, an adverb and verb, or a proper name. Avoid awkwardly breaking apart or splitting phrases or words as it can lead to confusion. You may also see script writing examples & samples. Use or make headlines that are appropriate to the story. Humorous headlines are acceptable for lighthearted stories but not to straight news and serious stories. Always remember to match the tone of the headline to the tone of the story. You may also like writing templates & examples. Two styles of headlines are commonly used in publications: the caps with lower case and the downstyle. Regardless of the style being used, always capitalize the first letter of the first word in the headline. The rest depends on the style to be implemented. You may also check out informative writing examples & samples. As mentioned above, present tense helps emphasize that the action is still happening. News headlines should relay that the event is current and not something that has happened a long time ago. You may also see memo writing examples & samples. Auxiliary verbs are not necessary when using perfect, progressive and passive structures as it makes headlines appear in the past tense when it is just using the past participle of the verb. Better to leave out these verbs on the headline and use active verbs. You may also like writing examples in doc. To indicate that the event is still yet to happen, use infinitives. With infinitives, a distinct future time is not necessary to express the future tense. It is acceptable to leave out articles such as a, an, and the. For example, “Prime Minister skips breakfast tea for charity” (The Prime Minister skipped breakfast tea). You may also check out steps for writing contest-winning essays. Leave out linking verbs (“to be”) in headlines as it is unnecessary and can take up more space. For example, “Residents unhappy about new water system” (residents are unhappy). Reported speech is usually represented by a colon or a hyphen, with the subject introduced with ‘on…’. This entails that verbs such as comment, tell, argue, announce, shout are left out. For example, “Bush on Iraqi invasion: “This aggression will not stand.”‘ You might be interested in reflective essay examples & samples. This helps communicate accurate numbers relating to the story. Instead of spelling out the number, use Arabic numerals from 0-9. This is usually applied in stories that need specific numbers to express a complete thought like death tolls, accidents, days until an event, etc. You may also see 5 step basic guide on essay writing. These are words or phrases that help catch readers’ attention. They are usually shorter than the headline itself and is set in a contrasting font style and weight. These headlines are usually used only for special stories or features. Hammers are big bold phrases and provides a lengthier deck below.